This week, as first-years roam around campus in packs of 20 and proudly refuse to ask anyone but their equally disoriented peers for directions, Wesleyan’s grizzled elders are involuntarily flooded with memories of their first few days on campus. Everyone at Wesleyan seems to remember their orientation experience in vivid detail. The half-week whirlwind leaves many of its victims overwhelmed and exhausted, with countless acquaintances made and considerably fewer names learned. Some thrive, some just survive, and some ditch their orientation activities entirely. 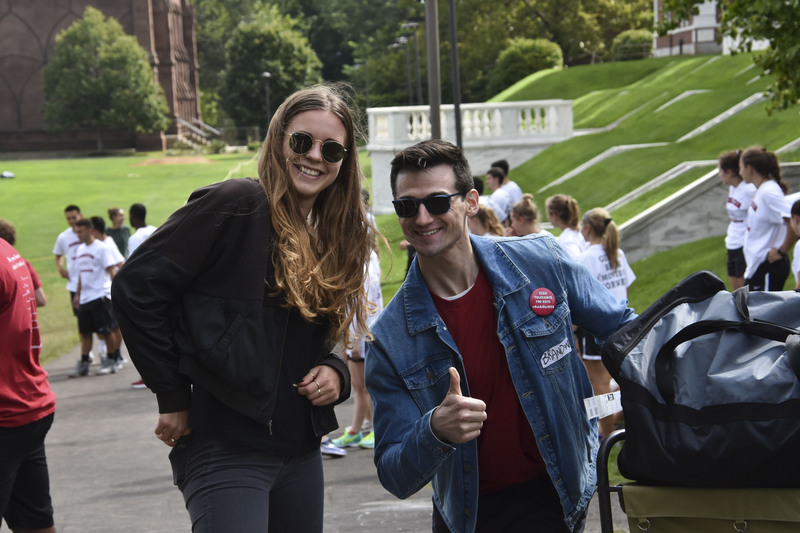 Starting on move-in day, The Argus checked in with first-years on their expectations and early impressions of the formative week. Then, we asked members of the class of 2018 about their memories of orientation experiences that still stick out three years down the road. Mariel Becker ’18: “So, I went to a whole bunch of info meetings for my interests: Wesleyan Women in Science, at the time Rho Ep, and something for Environmental Science majors. Each time I went to those events I kept running into the same senior girl and eventually she came up to me to introduce herself. Little did I know she would end up as being one of the biggest influences on me that year.